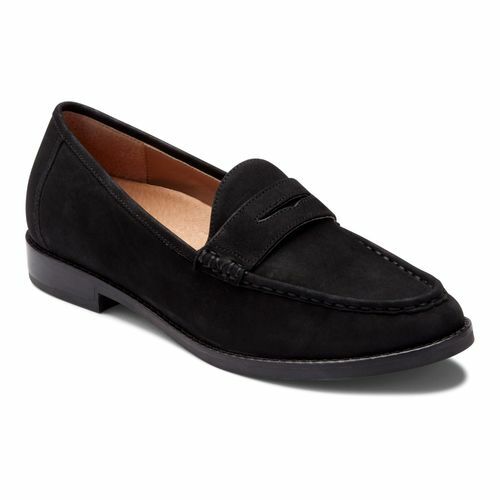 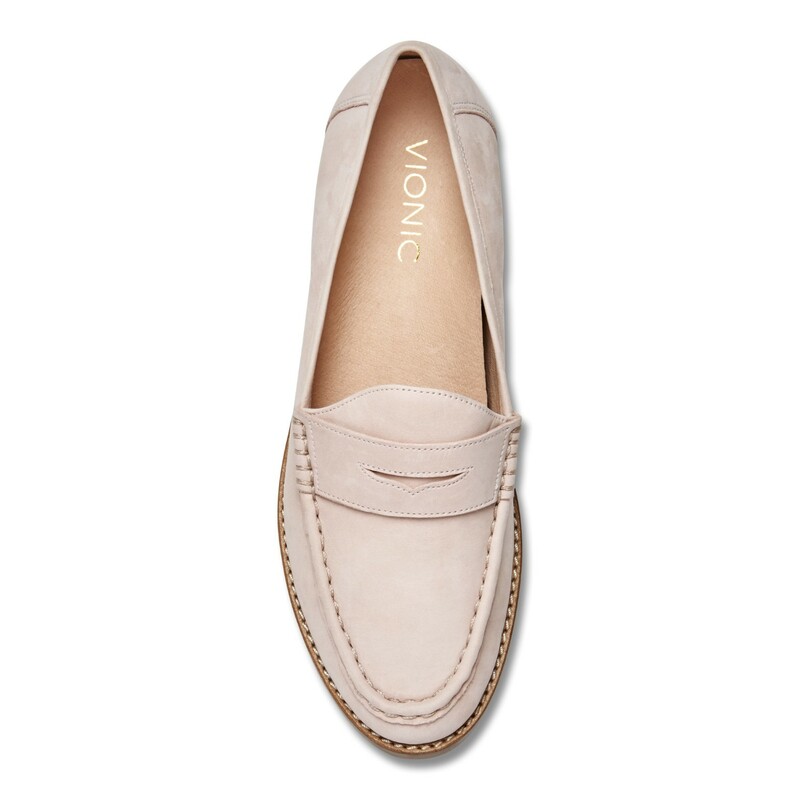 Vionic Wise Waverly - Women's Slip-on Loafer. 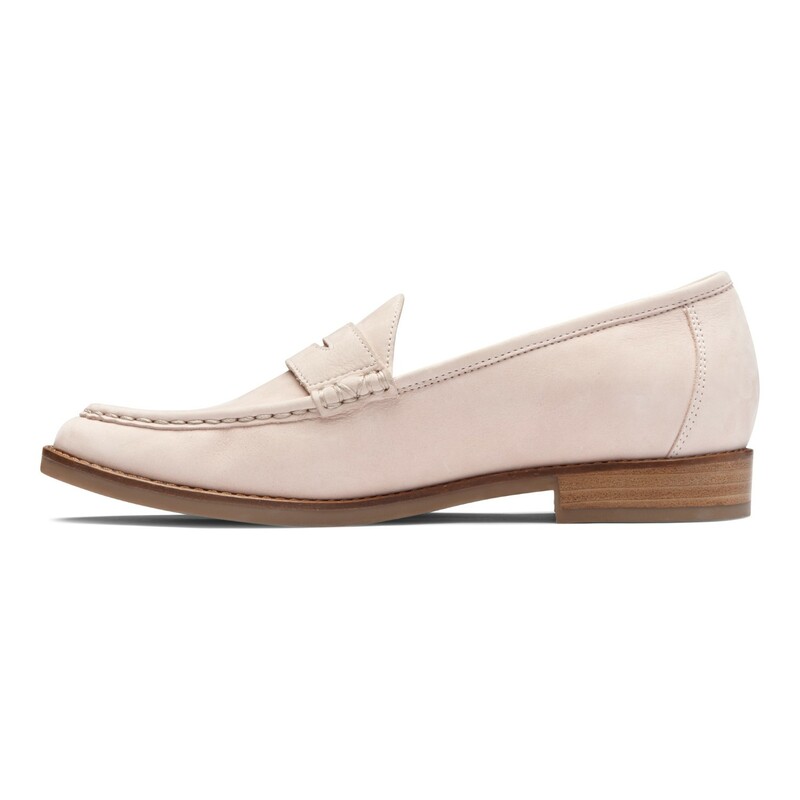 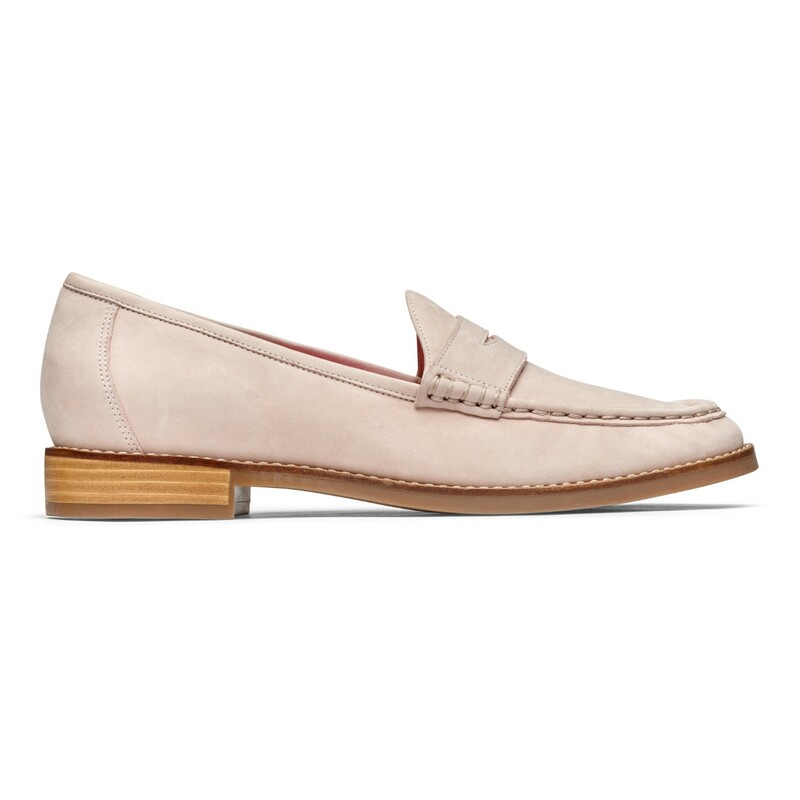 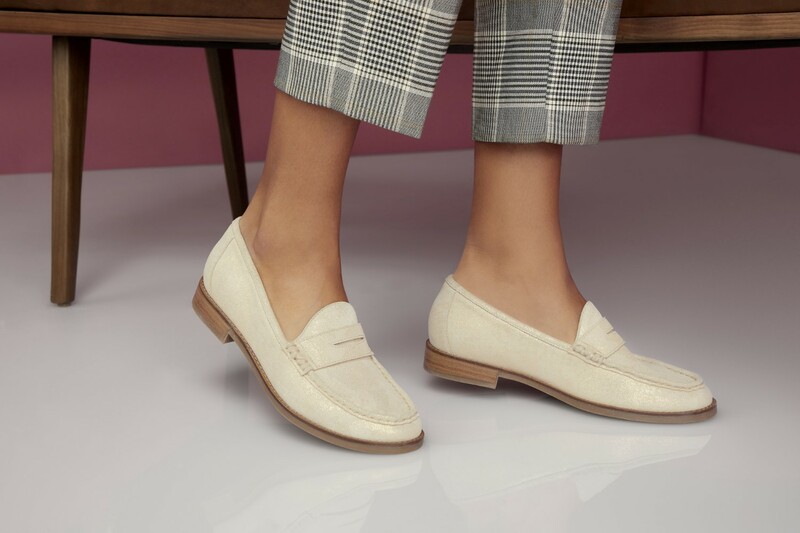 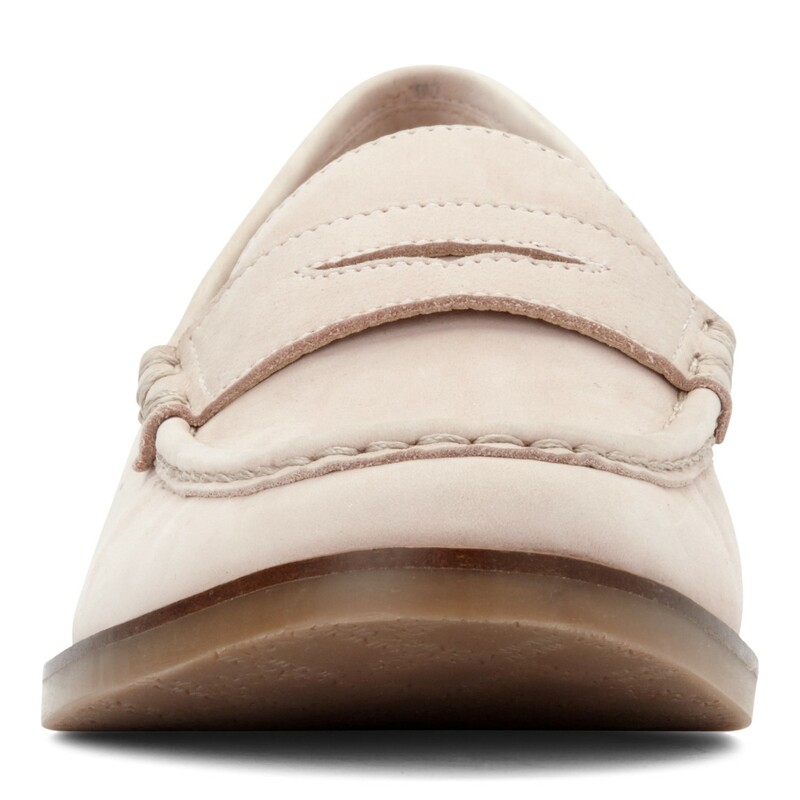 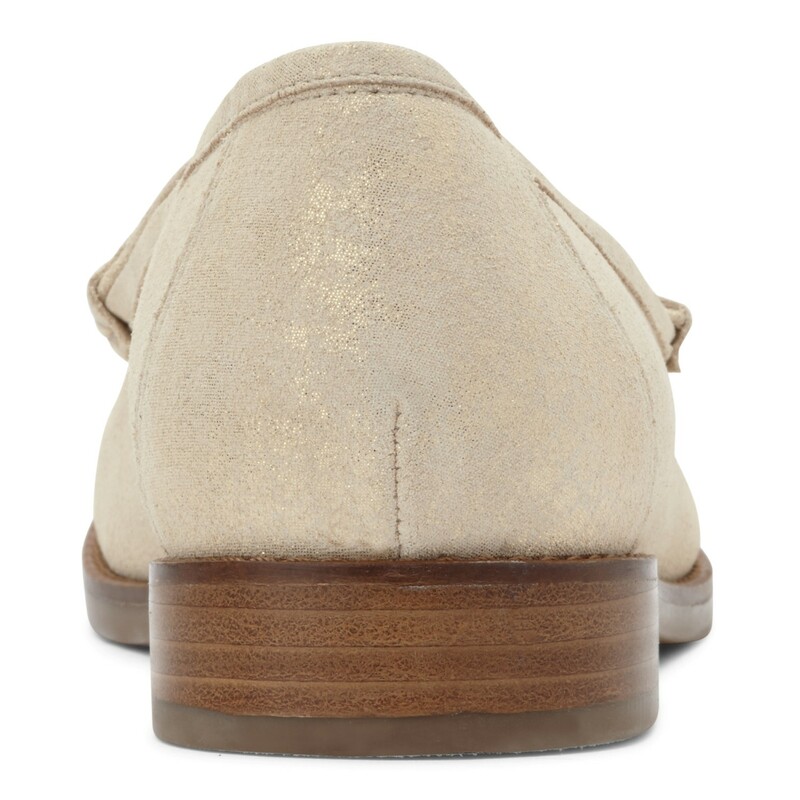 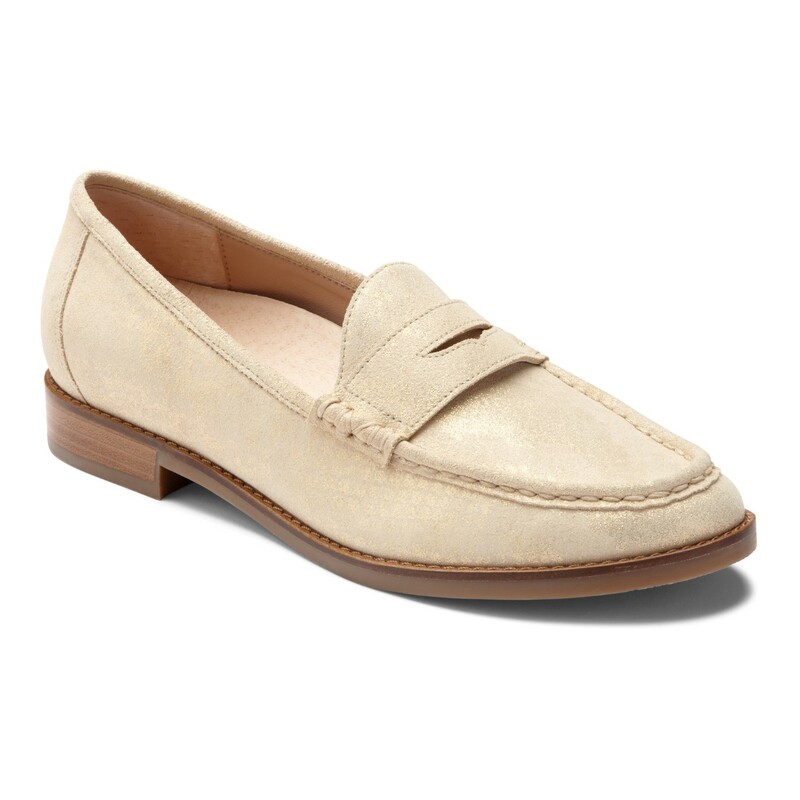 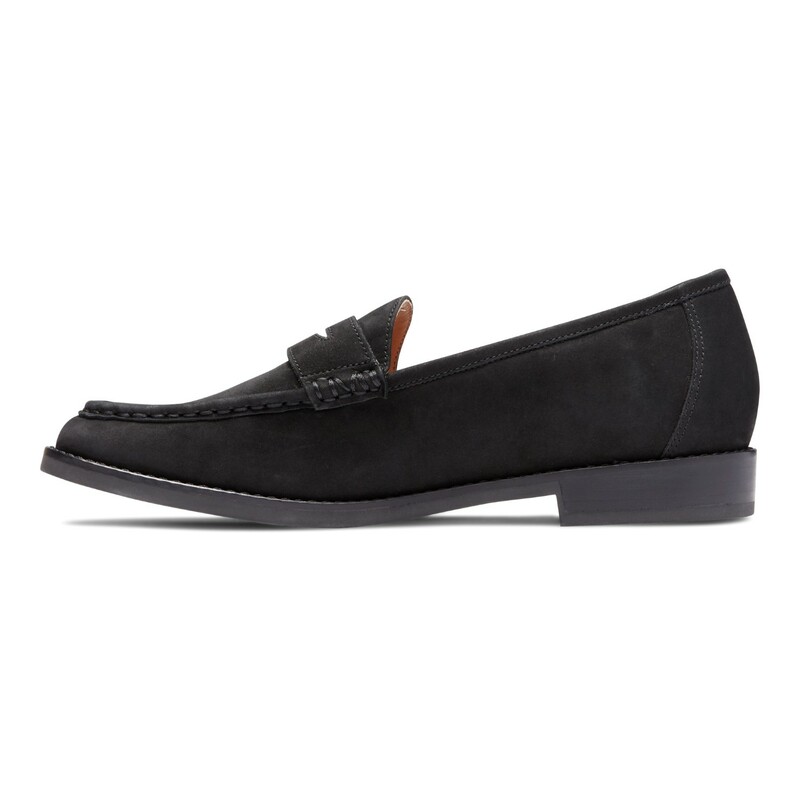 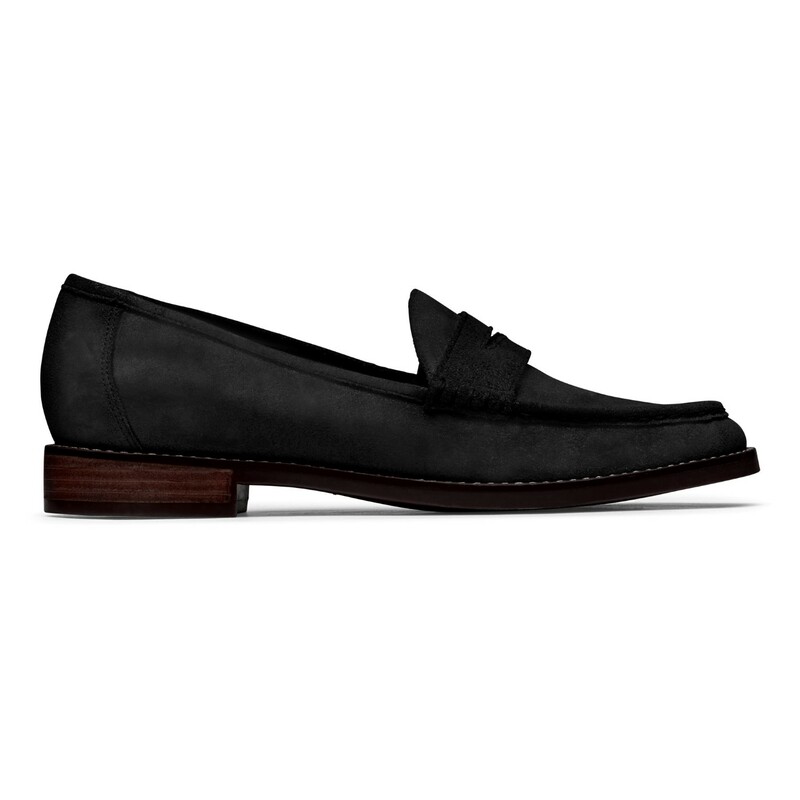 An elegant loafer designed for the chicest of wearers, Wise Waverly features an exposed-wood heel and a nubuck or printed leather upper for those privy to glitz. 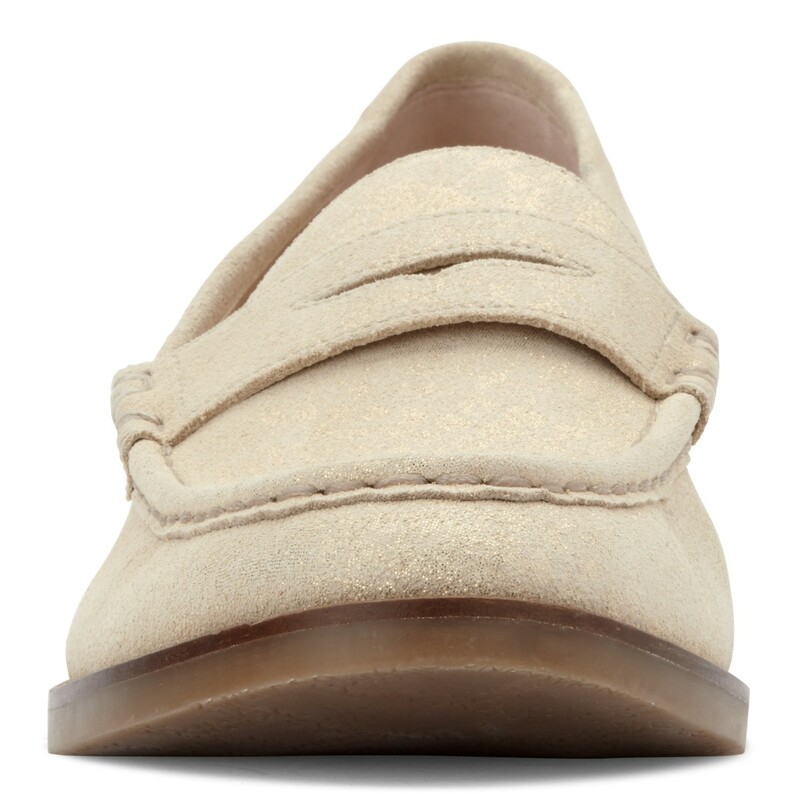 Contoured footbed for addictive support. 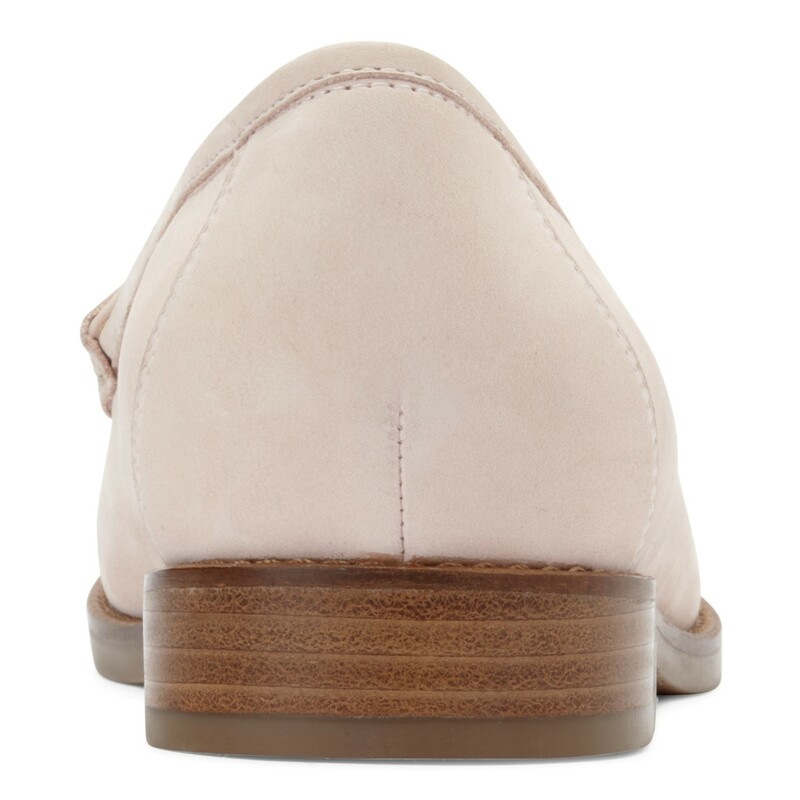 Orthaheel technology helps promote alignment from the ground up. 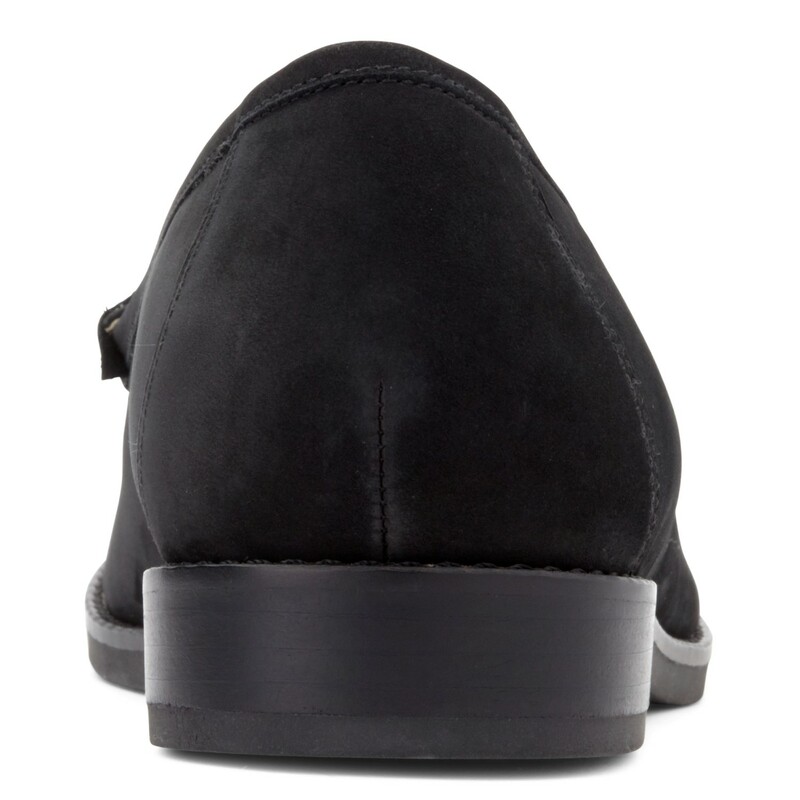 Deep heel cup provides essential stability. 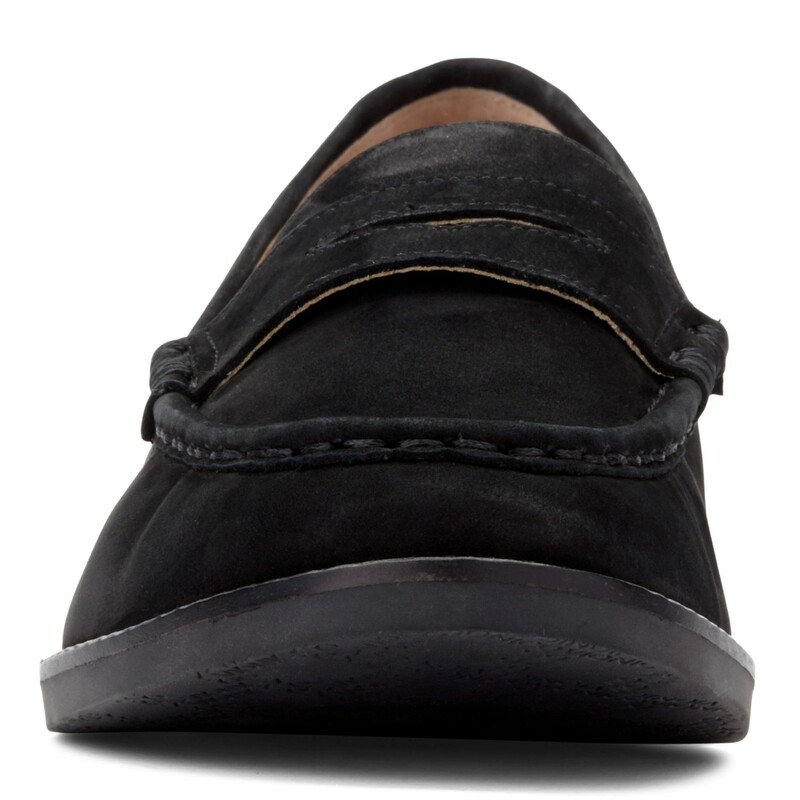 Stylish and comfortable footwear that incorporates a podiatrist designed biomechanical orthotic.